As #HumanMOOC is wrapping up (I hope I can listen in on the wrap-up hangout with the organizers later today; not sure if that will work out or not), I thought I would quickly record some thoughts... super-busy today, so I am going to rely on the "10" list format here to help me along. 1. 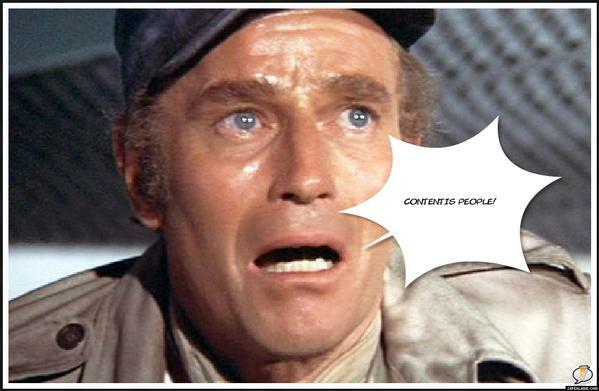 PEOPLE. I met so many fabulous people, along with reconnecting with people I have met before so that I got to know them better. Meeting new people is always, for me, the best thing about doing these experiences, and I am excited about staying in touch with people after the course. 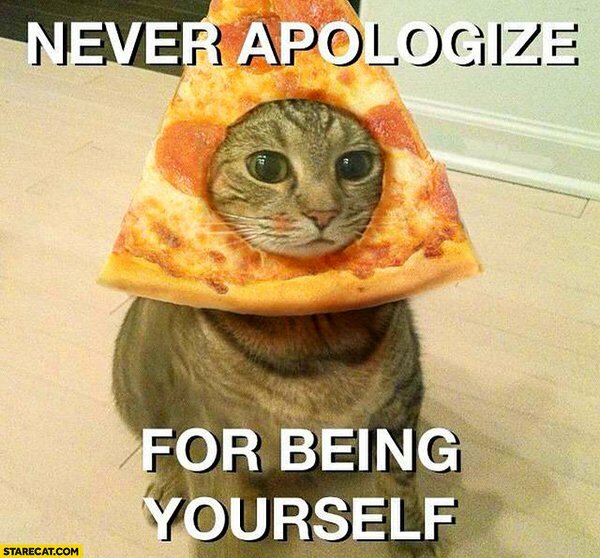 One of the mantras/memes of #Rhizo15 is holding true: Content IS People. And a big THANK YOU to the course organizers and the Twitterati for some really fun moments over the past few weeks! 2. HANGOUTS. I enjoyed the hangouts a lot, especially with the excellent Twitter backchannel activity that left a good trail and also reached out to connect with people not participating in #HumanMOOC. I even participated in a hangout which was fun too, although I have really come to love the backchannel, and I now see that my best contribution is probably being a kind of Twitter scribe for hangouts. That realization gave me a new idea for an #OpenTeachingOU chat style we could try this semester where each of us could pick out a short video to watch (TED-length, RSA, etc. ), and for our chat we could watch the videos together and tweet. I need to send a note to my co-organizers for that and see what they think. It would be fun just to see what videos people want to share and watch with others! 3. NETWORKS. My new education in network theory has been launched! I've seen sociograms before, and I enjoyed looking at the work Aras and Gordon did with mapping activity in #Rhizo15 last spring, but I didn't really understand it. 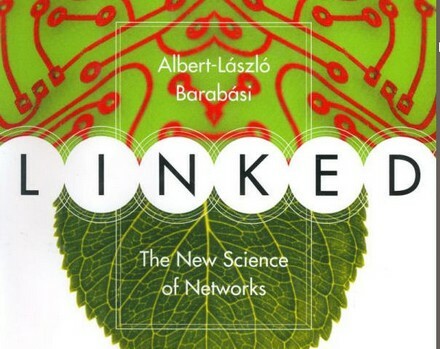 Hearing Aras speak in a hangout for #HumanMOOC got me really excited to learn more about this, so I started reading a book I had bought years ago but had not gotten around to reading: LINKED by Albert-László Barabási. What a great book! I am really glad to finally be learning about this. 4. TWITTER. I used Twitter a lot for #HumanMOOC; being in an online learning experience like this always provides a big boost to my Twitter use (normally I use Google+ more than Twitter), and that was really good timing: next week I am doing a Twitter Bootcamp for the Tech Expo at my school, and the good Twitter interactions for #HumanMOOC have convinced me more than ever of the power of this tool for connecting and sharing. I was disappointed that the focus on the LMS reduced the amount of Twitter interaction for #HumanMOOC (esp. since no Twitter presence was allowed inside the LMS because it would violate the walled-off design), and I don't think anybody in #HumanMOOC started using Twitter who was not already a Twitter user (but I could be wrong about that; not sure). I had hoped that the Bootcamp materials could have been useful for #HumanMOOC but with the way the course was designed, that didn't happen. Still, some people did volunteer to be buddies and that was cool; I had fun checking in at the Buddies list to see what they were tweeting separate from #HumanMOOC-tagged tweets. 5. BLOGGING. The blog hub for #HumanMOOC was disappointing compared to Connected Courses and Rhizo — like with Twitter, blog activity was low presumably because of the emphasis on the LMS (more on that below). So, there was very little activity at the blog hub, but I did write some posts, and a couple of them will be useful to me for future use, especially the Cuique Suum one. That is a post I have needed to write for a long time, and I am that the #HumanMOOC conversations prompted to do that. 6. PUBLIC DISCUSSION. My faith in the power of public discussion was really affirmed when Jared Stein from Instructure commented on one of my #HumanMOOC blog posts and shared some of the ideas there with the Instructure design people. My negative feelings about the whole idea of an LMS are even stronger than before, but I really do appreciate the way that people from Instructure participate in public discussions like this (Brian Whitmer had commented on a similar post last year, etc.). It is the importance of open, public discussion that makes me despair about the closed-by-default / closed-by-design approach that drives LMS culture ... and it really is a culture problem, not a technology problem at this point (more on that below). My personal belief is that we need to be doing everything we can to help faculty experiment with spaces outside the LMS, especially since the LMS remains solidly the default at school after school after school. So, at least for me, helping people see beyond the LMS is incredibly important, unlike the "it's all awesome" mantra of #HumanMOOC design and its emphasis on the LMS (which understandably drifts into LMS-by-default as many people will opt for something familiar that they feel confident about already rather than trying something totally new). 7. THE UNSOCIAL LMS. Ever since the advent of a truly social web (Facebook-Twitter-etc. ), I have been more and more frustrated by the anti-social structure of LMSes; even though there are great models for connected learning in spaces like Twitter which have person-centered streams and hashtag intersections, none of that has made an impact in LMS design from what I can see. The LMS at my school is D2L and it is extremely unsocial, so I was curious to see what Canvas would be like — that was actually a big factor in deciding to participate in #HumanMOOC (instead of doing a coding challenge for December as I had planned). I had tried out Canvas years ago, and I really appreciated at that time how course content could be totally open on the Internet with real webpages, no log-in, etc. (the test pages I put up when I was exploring Canvas years ago are still online!). So, given that Canvas allowed open content on the Internet in a way that set it apart from other LMSes, I was hoping that they had also embraced the increasing importance of the social Internet for building connected learning experiences. Sadly, that appears not to be the case; the profile pages, the notifications, the inability to create a social network inside a course space by mentions and/or follows... these were all big disappointments. I had hoped for better from Canvas, although it is also possible that Canvas has some social options we did not use in #HumanMOOC because of the specific design goals for the LMS layer. 8. PEDAGOGICAL PONDERING. I also realized through some back-and-forth with the #HumanMOOC developers, especially Matt, that this dual-layer design is something that just does not work for me, and it was very thought-provoking to ponder a model that for me is so uncongenial. I was curious about it initially because I thought the garden-stream metaphor was the same as the idea put forward in Mike Caulfield's technopastoral piece, but after a couple of weeks I realized the stream-garden metaphor in #HumanMOOC was really not like Mike's usage of those terms at all, especially the "stream" side. I had found Mike's ideas fascinating and also challenging since his notion of the person-centered stream expresses the kind of pedagogy that I do work with (student learning in blog streams), while #Rhizo15 had enlightened me about the many implications of the "garden" metaphor, and that is the direction I hope to take my classes in the years to come. Mike's concerns about the limitations of person-centered streams are something I think about a lot, and blog aggregation (my basic approach) is not even close to making a garden, being truly rhizomatic, etc. So while #HumanMOOC really did not give me any pedagogical strategies to borrow or adapt, it did get me to start thinking again about Mike's garden-stream ideas, and that was very useful... and now I am really hoping we will have a #Rhizo again in 2016. I will be bringing a big list of questions to ponder the second time around! 9. STUDENT PRESENCE. In terms of my inability to engage with #HumanMOOC pedagogically, it basically came down to the emphasis on instructor presence rather than student presence. The real challenge as I see it is how to build a course with strong student presence, where the instructor's role becomes to support and interconnect the students as the class network evolves (which is why learning about network theory is going to be so useful for me!). Yes, that means I believe in connected learning, and I see the instructor's role as being instrumental only insofar as it creates and sustains the students' presence, which means both their presence to one another and also their reflective self-presence as they build their own learning paths. #HumanMOOC focused more on optimizing instructor presence rather than prioritizing student presence, and the LMS itself is instructor-centered with poor opportunities for building student presence (which means limited opportunities to learn how to build student presence in our own courses). So, for future reference, I now know that I should not try any more MOOCs in which activity is being siphoned off into the closed and non-student-centered space of a traditional LMS; I'll count that as an important lesson learned (I had the same experience with the NextThought Power of Connections MOOC last summer which also attempted a dual-layer design although it did not use that term). AND THANKS FOR ALL THE SHARING OF STUFF!